With innovative design, latest technology, highly proficient manpower, excellent reliability and superior performance, FLUITECH promises dedication to all critical applications. 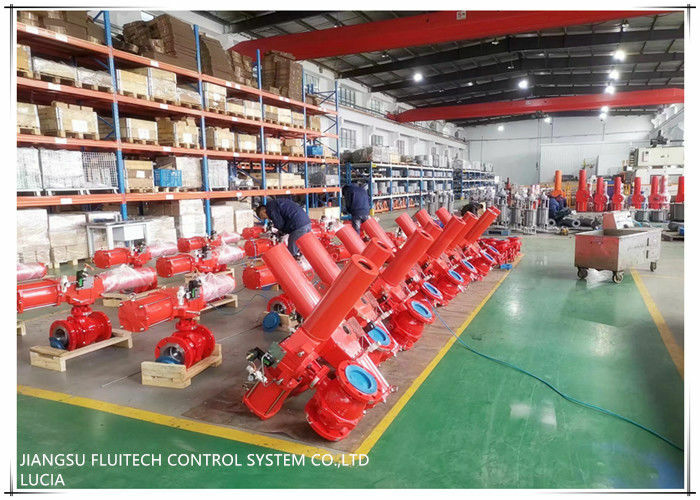 During 15 years of engineering and manufacturing excellence, FLUITECH has numerous valve actuator installations worldwide, including hostile ambient temperature environments. With time and advancing technology, we promise new product developments for our privileged customers. FLUITECH also ensures guaranteed reliability to its customers as per their evolving needs. FLUITECH delivers product designs beyond International standards. 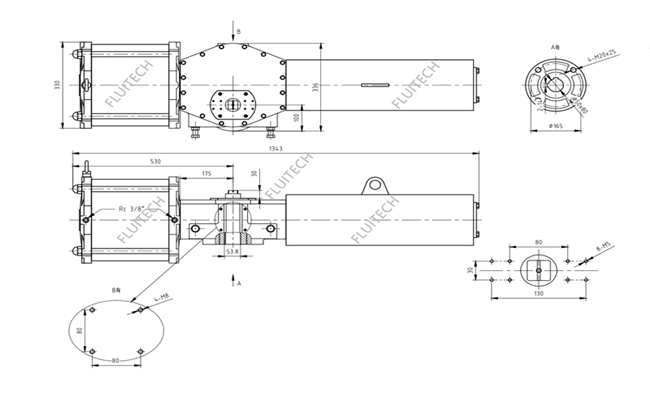 In continuation of the tradition of constant innovation and virtue in engineering, FLUITECH actuators provide superior quality and performance. 1 Extra heavy duty travel adjustment bolts can withstand high impact and are easy to adjust. 2 The actuator can easily be converted to fail open from fail close, by interchaniging the spring and pneumatic modules. 4 Solid bearing for piston rod for better alignment and smooth operation. 5 Needle bearing, Flexi joint, and the hardened yoke thrust pin bearing, are all incorporated into the actuator for longer, smoother operation. 6 The FLUITECH DRG actuator gives you greater efficiency and higher torque output, with less maintenance.